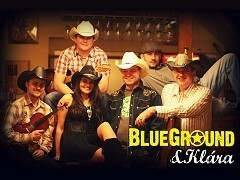 One of the top Czech country bands, BlueGround & Klára, released their first collection of songs in English. Even though their live shows are packed with cover versions of traditional and contemporary country music smash hits, country-rock as well as bluegrass classics, with this album they take their musicianship to the next level. The new EP is called "Room For Two" and it brings 6 original songs. BlueGround & Klára are happy to introduce the new songs that were recorded earlier in 2015. The EP is considered as a two-part project, so their fans can look forward to more new music in near future. You can order the CD directly from the band using the button below. The price of the CD is 7 EUR + 4 EUR for international shipping. The price is 7 EUR + 4 EUR for international shipping. 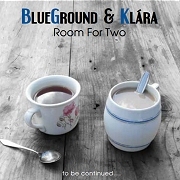 BlueGround & Klára - "Room For Two"
Follow BlueGround & Klára on Facebook!